Ensure your child is at school on time every day they are healthy. Children must be accompanied by an adult into the main office when coming to school late. A tardy slip must be obtained from the front office before the student will be permitted in class. **Please note the new tardy policy on page 16 of the student code of conduct. Personal I.D. is required for an adult to enter campus, as well as, when checking a student out of school. Only the adults listed on the student emergency card will be permitted to check a student out of school. Please keep the emergency cards for your child(ren) current. Thank You! Parents, you can now access your child’s information from any computer with an internet connection. The MyPolkSchools Parent Portal allows you to check current grades, obtain immunization status, learn if your child has any recorded discipline or attendance issues throughout the day, check your child’s current lunch account balance, make a payment to the lunch account, and even see what your child purchased in the lunchroom – all before your child comes home from school. Parent Portal Information – Click here to find out more! School is hard enough without having to deal with bullies, teasers or other kids who are just mean! So, you have a problem with someone in your class. Are you being bullied? Help us stop bullying in our schools. 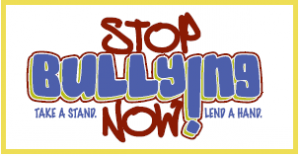 Click on the Stop Bullying Now graphic to get more information about bullying or to report bullying in our school. We also have a “Bully Box” located in our front office and media center. You or your child may stop by and fill out the form located next to the box or speak with our Assistant Principal. Upon filling out the form, administration will call you and/or your child to discuss the details of the event and begin an investigation.